In cleaning lead generation, accountability plays a critical role in establishing trust. But as important it may be, it runs contrary to the virtue when you admit to mistakes that really were not yours. These mistakes do not necessarily have to be that of your business specifically. Sometimes your lead generation campaign runs into prospects who blame everything save for themselves! There are times when something is clearly within the responsibility of commercial cleaners. There are others when your own customer should know better. Remember, marketing and lead generation are not just tools to help your salespeople make deals. They are there to help find problems that your commercial cleaning business set out to address. Part of that requires you to avoid dealing with problems that are just clearly not your responsibility. If you were always at the beck and call of negative, nagging customers, you would not do anything to improve your image or that of other commercial cleaners. 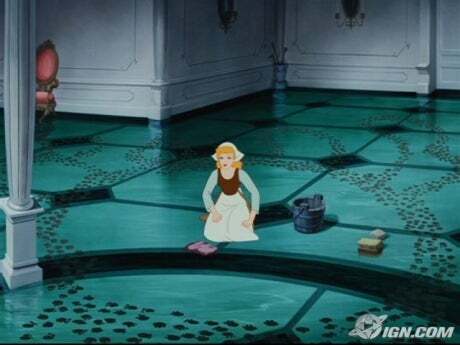 At best, you will just end up as yet another Cinderella except with no happy ending. Your janitorial sales leads are supposed to turn you into a productive business, not a slave business. In the following are lead generation tools you can employ to make sure that lines are drawn but at the same time maximize the information to avoid making your own mistakes. Customer service – Feed back from customer service is an excellent place to practice knowing your mistakes from that of your prospects. Failing to clean up a spill on aisle 23 is one thing. It is another to constantly whine about a loose screw in your desk chair. Make sure your lead generation strategy involves avoiding the latter types (or just educate them at least). Lead verification – You could always go the old-fashioned way of telling your lead qualifiers what you are not looking for. You cannot call it commercial cleaning lead generation without it anyways. Have them ask questions about workers’ cleaning habits and see if they are willing to make changes to that behavior before qualifying them for lead generation. Marketing materials – If your lead generation strategy employs content, try using it to teach the easy stuff. You want your commercial cleaners to work hard on real problems like a major clean up, hefty repair work, or exterminating serious infestations. That way prospects can learn what they can do for themselves and you in turn make them worth more of your time with what they cannot. Again, lead generation is supposed to encourage productivity, not slavery. Nothing good comes from taking responsibilities and accepting mistakes that are not yours. It corrupts the entire purpose of getting business to outsource major commercial cleaning and other maintenance tasks. That in turn, will corrupt the purpose of lead generation. Instead, use its tools to discover the right commercial cleaning leads and focus only your own mistakes!